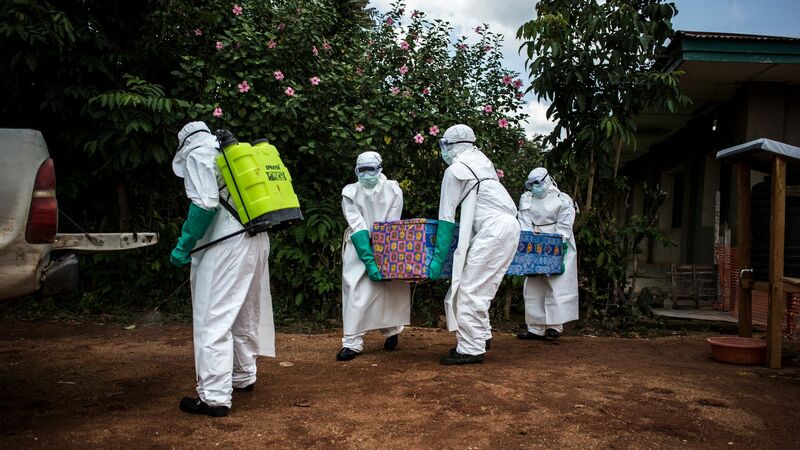 Health workers carry out the body of a patient in Congo with unconfirmed Ebola virus. Photo: John Wessels/AFP/Getty Images. The World Health Organization classified Ebola's spread from Democratic Republic of the Congo "very high," Saturday as two confirmed cased were discovered near Uganda's border, the Associated Press reports.